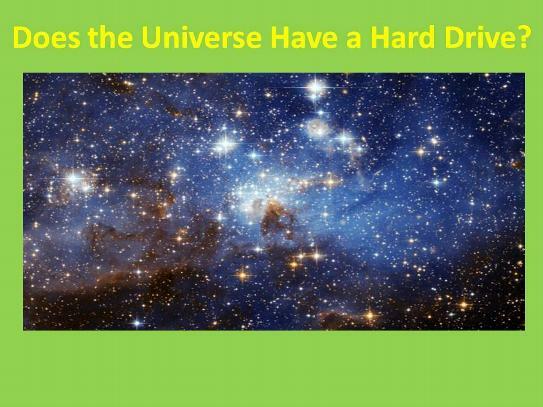 Does The Universe Have a Hard Drive? Zura Kakushadze is lead author of this peer reviewed paper published by the Free University of Tbilisi. It describes an information paradox that arises in a materialist’s description of the Universe—if we assume that the Universe is 100% quantum. The observation of the paradox stems from an interdisciplinary thought process whereby the Universe can be viewed as a “quantum computer”. The presentation is intentionally nontechnical to make it accessible to a wide a readership.